If you would like to be considered for this ARC tour, courtesy of St. Martin's Press, please leave a link to your blog, name, and email below. I will email those accepted, thank you for stopping by! Hey, thank you for offering up this tour :) I got the ARC a couple of weeks ago and am excited to read it!! I am not going to lie, I have been blogging only a couple of month. I have not done an ARC tour before, but I would love the chance to participate! I would love to participate in an ARC tour for this book! I've read the first chapter and it was great! 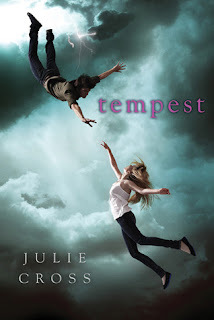 I'd love to review Tempest! It looks amazing! It's been on my TBR list for a while! Thanks for posting this for us! I've been wanting to read this one, it sounds like its gonna be an epic read for 2012!